June was a pretty interesting month. 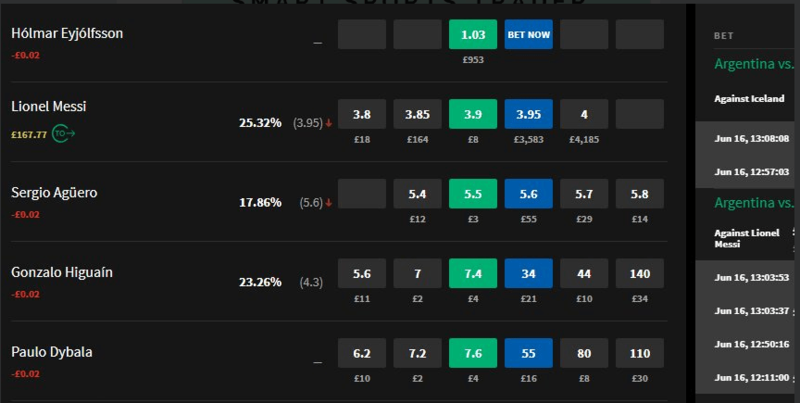 We had the start of the world cup and some decent matched betting offers throughout. Casino offers didn’t go my way as I ended up with a loss from advantage play. It was also a month where I took a week out to go on holiday. A full week where I did no offers, trading or betting at all. In all honesty it felt good. It allowed my mind to completely relax. Without having to input casino offer results, arbs and matched betting offers into a spreadsheet. Taking a few days break from time to is something that I plan to do more often. I do think mentally breaking the grind of trading and betting is really important. In June I took part in a total of 188 matched betting offers and arbitrage bets. The week on holiday in Spain contributed mostly to the drop in volume. But with the world cup starting there was a steady stream of decent matched betting offers. 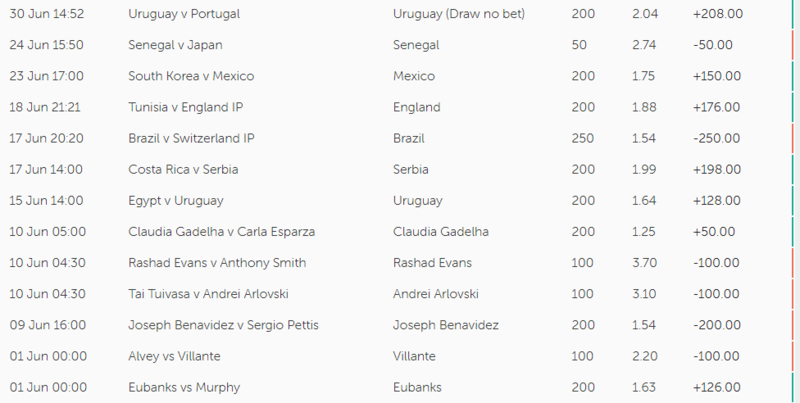 Alongside matched betting I found quite a few good arbs on the World Cup. Blacktype bet in particular offered quite a few really good arbs. Spreadex were also offering England at odds of 31.00 before the tournament which could be layed at 29.00. Quite a few people have emailed or direct messaged me saying arbitrage is dead in 2018. Personally I still think there is a decent amount to be made from arbitrage. Especially if you have quite a few accounts that are promo banned but not limited. A total profit of £1048 was made from matched betting and arbitrage. June saw a pretty consistent downswing when it came to casino offers. It can be a pretty demoralizing experience losing offer after offer. Does feel like you are just chucking money away. However over the long term its a tiny blip and why keeping records can help psychologically. One look at my overall profit from advantage play and I see its nothing to worry about. In June I took part in 139 advantage play offer. A total loss of -£355 was made. June was a month where I thought I could really do a lot more pre match trading. The World Cup and Euro’s often have excellent opportunities. Compared to May I increased the amount of trades I did by 6. However over all there wasn’t a great improvement in the overall profit. I had been using an exploit for quiet a while in one of the betting exchanges. It seems that they have caught up now and this is no longer working. Not 100% sure on this yet but the markets at this exchange don’t seem to be functioning the same way they used to. If the opportunity has completely disappeared. I will write about it as it could be something to look out for in the future. Pretty much all of my own personal trading was pre match on the football. I did follow Psychoff when I had the opportunity. His discord channel has really been excellent. It’s great to see how one of the best football traders in the world thinks about football trading and finds value. If you trade football and are not part of Psychoff’s discord channel then you are really missing out. Given his discord channel is free it’s really amazing value. In June I made 17 trades and a profit of £301 was made. Sports betting this month took a drop in volume. The majority of bets were my own but I do also read the opinion of a few other professional sports bettors. Ian from FTS Income was sending out free advice for the World Cup. I normally also read the suggested bets from the guys over at Matchbook. In total I made 13 bets in June. Not the biggest month in terms of profit. But given the weeks holiday and advantage play showing negative this month I am not too disappointed. How was June for you in terms of profit and loss? Had a good June myself. Follow a similar portfolio to yourself without the trading and betting. Had a cracker in June following Psychoff and matched betting with Oddsmonkey. Tried casino offers out but don’t like losing all the time. Tough mentally when like you say feels like your throwing money away.